Birmingham's Central Methodist Hall is home to a large three manual Walcker which was originally built for a church in Germany, and was brought to eh UK in 1903. I played it about 30 years ago and thought it was a very grand, if somewhat tired, creature. Sadly the hall has been disused for many years, having ceased to be a nightclub venue some time after its ecclesiastical function stopped. Today's local paper says that it is to be converted into a new hotel and leisure centre. 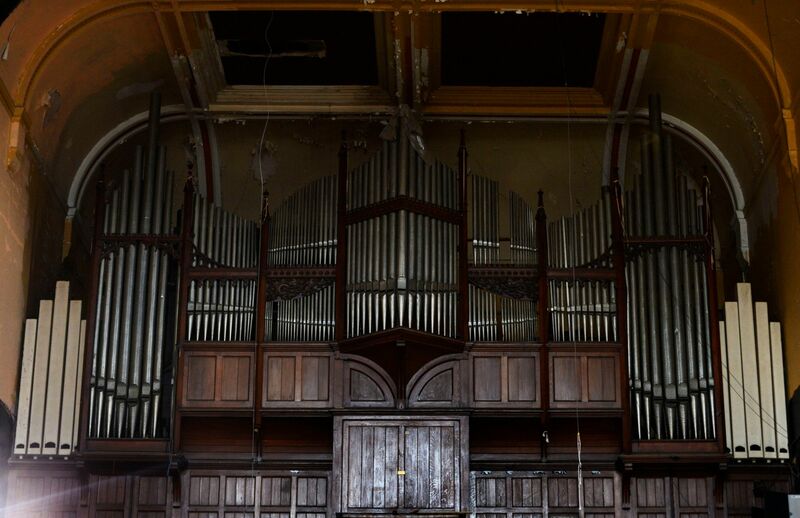 What particularly struck me in the report was a claim that as part of the refurbishment the organ is to restored. Can anyone shed light on this potentially very welcome news?